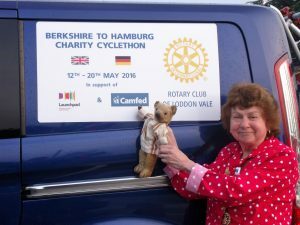 Day 1: departure, with ‘god-speed’ from Edward the bear! There’s no going back now! 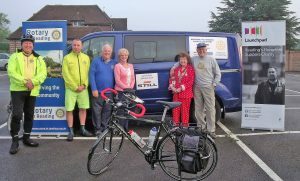 The Loddon Vale Cyclethon’s intrepid cyclists were up at the crack of dawn with all preparations made for departure from Sonning Golf Club on their epic ride for the charities Launchpad and Camfed. At 6.00am there was a chill nip in the air as a crowd of supporters gathered to wish them well. 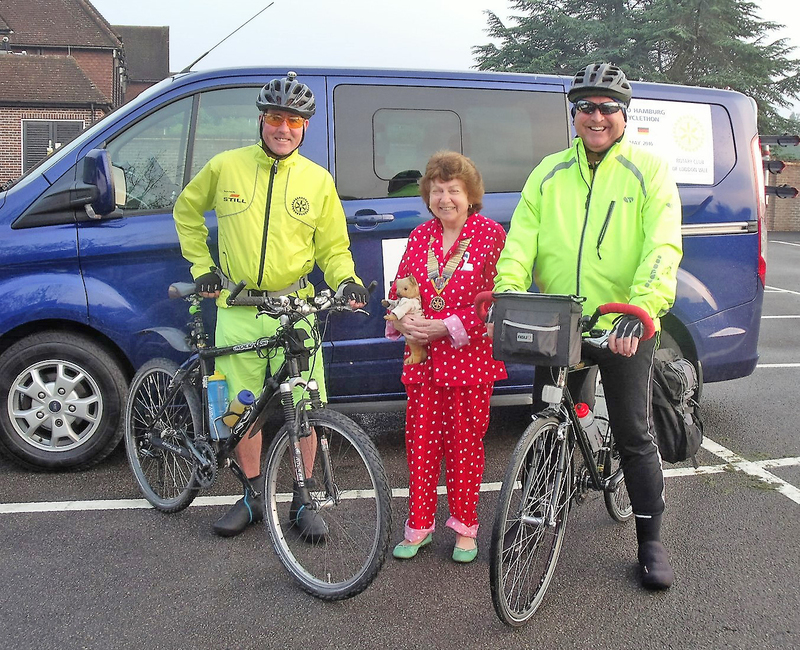 Loddon Vale Rotary President Anne Coulson was as good as her word, turning up in her night-attire, to underline the early start. 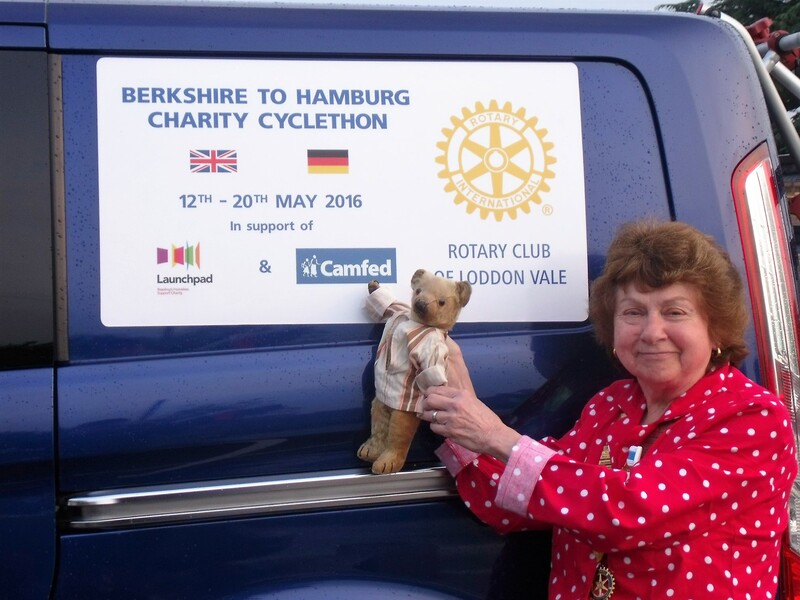 She was accompanied by her long-standing friend Edward the Bear to wish the Cyclethon 2016 ‘god-speed’. Everyone was in good humour with many references to where the group might have a well-deserved breakfast. The plan for today is to ride around 62 miles to Epping, on the other side of London via Slough, including a lot of canal-side paths, hence the roadster bikes. On arrival the team will ‘pitch their tents’ at North Weald.